We have an open thread all day. Would this even be logistically possible for you if you wanted to walk to work? As is the case with every column, the Moneyist responds and then readers chime in with their comments. How would you advise Disgruntled Wife? What about these other sticky situations? Can you personally relate to these cases? Do you have any Moneyist stories? We have an open thread all day. Speak your mind! A mother’s Facebook response to her son’s post looking for tips on getting to sleep better. Had I not known she was his mother (and a mother I have always admired), I would not have recognized it from this, or any of her comments on his page. She seems to fully accept that he is now a (young!) adult, making his own decisions and his way in the world. A conversation with my son, in which he asked if I think he’s “turned out well”. I don’t think he’s “turned out” yet at all, think we have a couple more very important years to go. At his age, no one would have predicted what I’d be like by the time I was 25+. This news article, in which a father says he ignored his son’s warning that something was illegal, basically because he’s a bratty kid who shouldn’t be taken as seriously as he wants to be. So my questions are: when do you think a kid is grown up? How did your relationship with yours change, or how do you expect it to change? What do you see as an ideal relationship between parent and adult child? I have been enjoying my son’s recent personality developments, his interests and his sense of humor. I will always be there if he wants advice or shelter, but at his request. Mostly I hope that we will be able to interact much as I would with any bright young person making their way in the world. I see it as my job now to prepare him to be an active agent in the world, making his own choices and able to accept the results, good or bad. I hope we will stay close, and that I’ll be close to any grandbabies. I think accepting him as an adult a few years from now will be key in developing that closeness. How about you? Time for another weekly politics discussion. A system under strain: Is US democracy showing real cracks? This tweet is from a daughter whose mother died leaving behind many of her best things that she was never able to enjoy because she was saving them for some distant day. Are you finding the right balance between enjoying it now and prudently saving for the future? I’ve done a lot of thinking about life and death, growing older and mortality in the past few months. I was quite depressed for a while, could not escape the thought that one could be perfectly fine today, but wake up tomorrow with a lump or a pain that was going to change everything. Feeling better now and have come to realize that this is the time to enjoy life more and do the things that bring me joy. DH and I are planning two trips this year, and I am not going to delay them because what if my parents need me or maybe we should pay off a few more bills first, we are going this year. I just purchased a new comforter and window shades for our bedroom and am having the room painted next week. Not 100% necessary, but it will make me happy every day. What else? What can you do today or this month or this year that makes you happy? Do you use urgent clinics very often? How do you keep yourself from letting negative thoughts intrude on your day? There are days when I feel bulletproof – negativity and drama will roll right off me. Other days I am rattled by small things, and when I find myself rattled I scold myself for being rattled and a downward spiral begins. When you find yourself in one of those moods, how do you pull yourself out? WCE’s comment on 2/8/18 regarding the preschool choice made me think about commutes for work, school or extra-curricular activities. For my first 10 years in my city, I lived less than 4 miles of my workplace and all my routine activities were within a 10 mile radius. When I met SO, he lived 12 miles from my workplace, but his house was paid for and I rented. It took me a long time to adjust to tripling my commute. From a 4 to 12 mile one way trip. A 4 mile commute doesn’t change much with more/less traffic, but when your 6 miles at 60 mph becomes 6 miles at 20 miles an hour, it makes a huge difference. Normal days, it was a 45 minute round trip. We were willing to commute for DD#1’s school – 12 miles one way, but a different direction from work! Until she could drive, we had her use the school-provided transportation as much as possible, though we still had to take/pick up from a central location about 3 miles from home. Although DD#2 commutes to a school in another district, we live close to the border, so the distance isn’t much different, but there is no school-provided transportation. My part-time job’s commute most days is to walk up the stairs. About once a month, I make the 12 mile commute downtown. Recently, I started a second part-time job teaching a fitness class. My current drive is 40 minutes each way to teach an hour class. However, no later than September, my drive will remain the same and I will be teaching for 4 hours. Most of it is highway driving and it is outside of “rush hour” and even then going the opposite direction. My overall commute is typically 80 minutes a week, and one week a month is becomes 2 to 2.5 hours. How far (distance) and/or how long (minutes/hours) are you willing to commute for work, school or extra-curricular activities? Here is a link to states with the longest and shortest commutes. Does your experience match up? These are the states with the longest and shortest commutes — how does yours stack up? We have a President’s Day open thread. Are you having a good Monday? Lots of stuff is going on in politics. Today is Valentine’s Day ♥♥♥. Are you celebrating? Did you celebrate Galentine’s Day yesterday? Have you ever dined at any of these? No wonder the birth rate in Japan is so low! If you were a policy-maker in Japan, what would you do? I can’t help but think that employment opportunities would expand if work hours were effectively limited. How’s the weather around you? Do these tips make sense to you? What other advice do you have for tech problems? Does you have any questions about technology issues? Post them in the comments and we may be able to help each other out. You know this is true. After a drink or two the words flow more easily, in any language! Remembering my youthful days traveling in Mexico, I always had more confidence yakking it up with locals once I had a drink or two. Let’s talk languages and imbibing. What foreign languages do you speak, fluently or passably? Do family members speak other languages besides English? What about your drinking habits? Are you drinking less, more, or about the same as ever these days? What’s your favorite adult beverage? Any health concerns? And is the decriminalization of marijuana having any effect on the partying habits of people you know? Also, do you have specific examples where knowing another language has helped in career growth? This is part of pre-homework I have for the leadership program. This month’s focus is on leading in this complex age, how to use conversations as a mechanism for leadership (that you must engage all levels rather than top-down directives), that you must be willing to be disturbed (that is have your opinions tested, and listen to others rather than react), and find a way to have safe conversations to draw out those people who don’t want to be heard for fear of reprisal or judgement. We have an open thread today. What do you pack for a one-week trip to . . . San Francisco? Or San Diego? Or pick another location. Can you stick to carry-on? What do you wear on the plane? Since I try to be a minimalist packer, I like the advice in this NYT article to leave behind ‘Most of the clothes you’re thinking of bringing’ and ‘Anything you “might” use’. 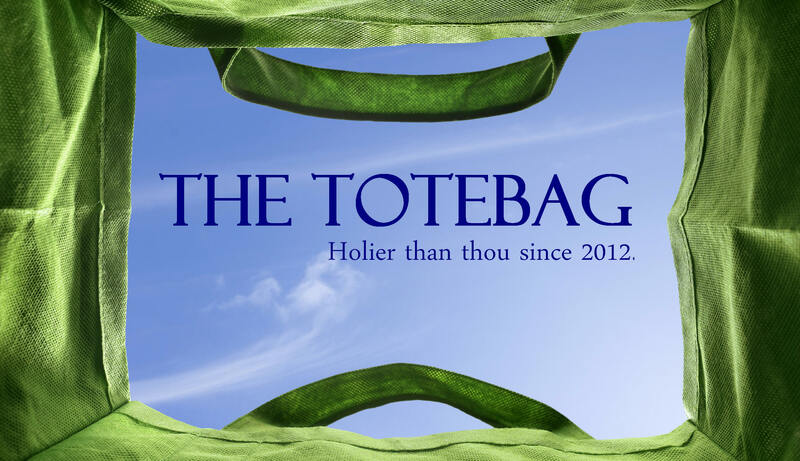 We Totebaggers are full of good, prudent advice. But what advice of yours have your children actually taken? If they didn’t take your advice on something, how did it turn out? (i.e., did the outcome make you think, “Well, they proved me wrong on that one”, or did it make you think, “I told you so!”) If you had to rank all the pieces of advice that you give your kids, what are the top two or three that you hope they follow, even if they disregard everything else? And on the other side of the generational divide, what advice that your parents gave you are you particularly glad you took or did not take? What advice do you regret taking or not taking? Our weekly politics thread is open. I don’t wanna be hamburger! Cow leaps onto I-80 from slaughterhouse-bound truck. Anyone have a commuting “weird” story? ?